After a long break without any new posts - sorry for - I will post a couple of new stuff in the coming days. 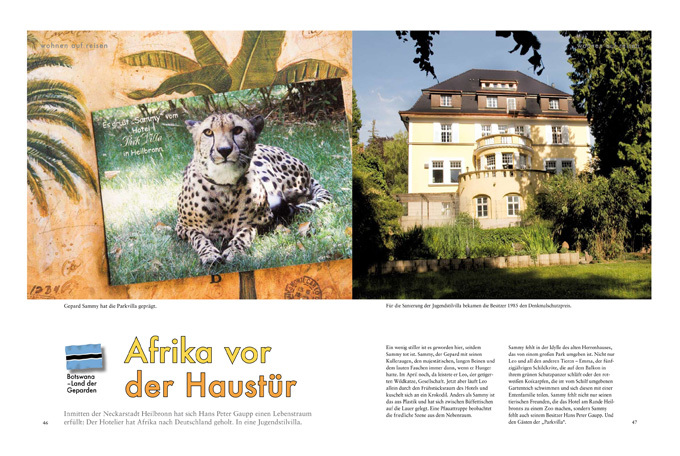 The beginning makes a article about a owner of a hotel in a city named Heilbronn and his love to Africa and especially to cheetahs. The article was published by the magazine ARTUR.